Sylvia Ewing is a teacher, non-profit executive, and award-winning journalist committed to offering her life skills to help others find self-awareness and success. She hosts a weekly podcast on meditation and mindfulness, This Moment with Sylvia Ewing, available at Yoga Chicago and on iTunes. Sylvia has worked on both sides of the microphone, helping nonprofits communicate effectively, implement strategic plans and manage change, and also covering social change issues and producing events. Sylvia is the Director of Communications & Marketing at the Center for Economic Progress, a Chicago-based non-profit organization. She is also an adjunct professor at Columbia College Chicago, teaching courses on Leadership and Management in the Business and Entrepreneurship Department. She has produced countless successful public and private events at venues around the city, as well as raised significant revenue for her clients and employers. Sylvia shares humor and her intimate and accessible style on a variety of platforms. She offers workshops for individuals and organizations on values-based messaging, mindful leadership, strategic communications and event planning. Past clients include the Chicago Foundation for Women, Young Women’s Leadership High School, the Illinois College Network, Ingenuity, and others. Her work has been published in the Chicago Sun-Times, Chicago Parent, N’Digo, Yoga Chicago, and Uptown Magazine. 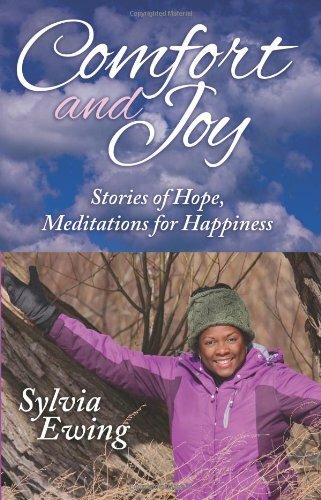 Sylvia can also be seen on WTTW-TV and around the country as an on-air host for PBS specials. Her public broadcasting credentials include a long history with WBEZ radio, Chicago’s NPR affiliate. She has produced and directed for Steppenwolf Theatre Company, and other national and international organizations and broadcasters. She has also produced several series for online platforms. Sylvia shares a Public Radio News Directors, Inc. (PRNDI) award with her Eight Forty- Eight colleges and shares an Edward R. Murrow award for the Chicago Matters series on Chicago Public Radio. She has been nominated for three local Emmys, and has received a Peter Lisagor award and three outstanding awards from the Chicago Association of Black Journalists. She received her certification as a meditation teacher from the Temple of Kriya Yoga in Chicago. The author of Comfort and Joy: Stories of Hope Meditations for Happiness, she is also a popular moderator and keynote speaker, reaching thousands of people each year on behalf of various civic and cultural groups. "I've hired Sylvia on so many occasions as an MC. She is so personable, dynamic, informed, and authentic!"